Let out a sigh of relief (or keep holding your breath); the 2018 midterm elections are over, and voters passed judgment up and down the Eastern Seaboard on a wave of politicians and ballot measures that will impact architects, construction workers, and transportation enthusiasts. Climate change policy was also, though not as explicitly, up for a vote alongside more concrete measures. Although the dust is still settling, AN has put together a primer on what the election results mean from Miami to Maine. New York Democrats now control all three branches of government in New York State and are poised to rewrite the state’s rent stabilization laws…assuming Governor Andrew Cuomo lets them. As Gothamist noted, the 1971 Urstadt Law prevents New York City from usurping Albany’s authority and passing more stringent rent control laws than those at the state level, even as the city spirals deeper into its affordable housing crisis. The new year will bring a vote on all of the laws that oversee the city’s affordable housing stock, meaning that the newly inaugurated state legislators will be in prime position to demand stronger tenant protections. The real estate industry in New York City has historically donated to campaigning Republicans and the reelection of the industry-friendly Cuomo, however, so it’s unclear how far the governor will acquiesce. As the NYPost broke down, tenant activists are amped up at the possibility of tamping down annual rent increases and ending the ability of landlords to raise rents after investing in capital improvements. Cuomo’s reelection also likely locks in the decision to place Amazon’s HQ2 (or 2.5) in Long Island City. The governor had been a huge booster for NYC’s bid for the tech hub, promising hundreds of millions in state subsidies. 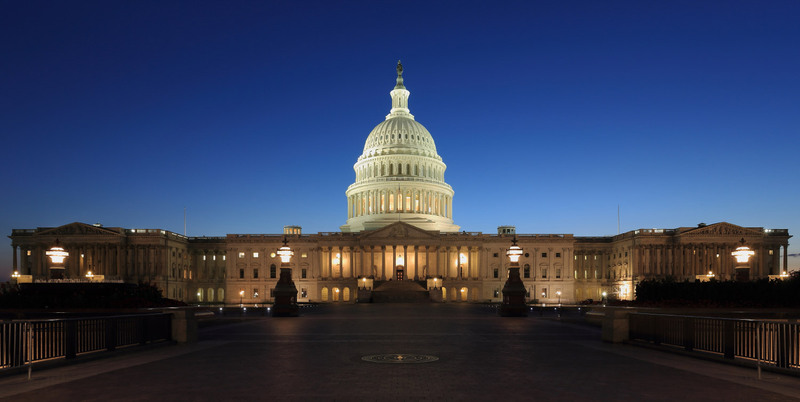 On the national front, the election of a number of “climate hawks,” including New York 14th District representative Alexandria Ocasio-Cortez and the 19th District’s Antonio Delgado, will bring a group of climate-action hardliners to Washington. It’s expected the new crop of progressive voices will press the House on plans to transition toward sustainable energy and curb America’s dependence on fossil fuels. More importantly, 16 Republican House members—more than half—on the 90-person bipartisan Climate Solutions Caucus were voted out. On its surface, the collapse of the caucus sounds like a bad thing for environmentalists, but as Earther notes, the group was known for advancing milquetoast, business-friendly proposals that ultimately went nowhere. Although any climate action coming from the House needs to pass the Senate and would land on the President’s desk, where it would presumably wilt, the momentum for change is slowly building. Any climate change–confronting action will likely have an outsized impact on zoning codes in New York and beyond and would require construction teams and architects to implement steeper resiliency measures into their projects. Maine In Maine, voters overwhelmingly passed Question 3 by a measure of 2-to-1, ensuring that the state would issue $106 million in general bonds for transportation projects. Of that, $80 million will be used for roadway and bridge infrastructure construction and repair, $20 million for upgrading airports, ports, harbors, and railroads, and $5 million for upgrading stream-facing drainpipes to lessen the impact on local wildlife. One million will also be spent to improve the pier at the Maine Maritime Academy in Castine. Florida Ron DeSantis is the new governor and Rick Scott is likely to move up to become a senator. During his tenure as governor, Scott, although presiding over a state uniquely vulnerable to flooding and coastal storms, was a staunch climate change denier and banned the phrase from all state documents and discussions. DeSantis appears to be cut from the same cloth, telling crowds during a campaign stop over the summer that climate change, if it exists, can’t be mitigated at the state level. What this likely means will be a continued lack of action to mitigate climate change and its effects on a state level. Soccer lovers can rejoice, though, as 60 percent of voters endorsed allowing David Beckham’s Freedom Park to build on the Melreese Country Culb. The $1 billion Arquitectonica-designed soccer stadium, hotel, “soccer village,” and office, retail, and commercial space will span 73 acres. Michigan Gerrymandering looks like it’s on its way out in Michigan after a 60-40 vote to redraw the state’s districts. Over several decades, the state legislature had used its redistricting power to cram Democrat or Republican constituents (depending on who was in power at the time) into congressional districts where their impact would be marginalized. Now, after the passage of Proposal 2 and the subsequent amending of Michigan’s constitution, a 13-person, bipartisan panel will be established to redraw the state’s internal boundaries. Four Republicans, four Democrats, and five non-party identifying individuals will make up the commission. Barring a court challenge, money for the initiative, including pay for its members, will be allocated from the state budget come December 1, 2019. After that, the commission will draw up the new districts for the 2022 election using data from the 2020 census. The panel will convene every 10 years, in time with the census, and can only be disbanded after the legal challenges to its decisions are completed. Any Michigan citizen who hasn’t held political office in the last six years can apply to become a commissioner. 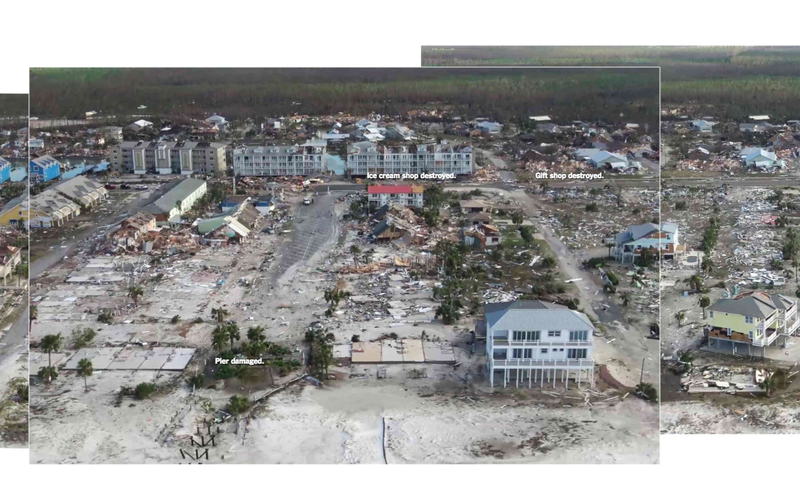 Last year, Hurricane Irma’s devastation wrapped around the state of Florida, causing irreparable damage to structures across every coastal community. 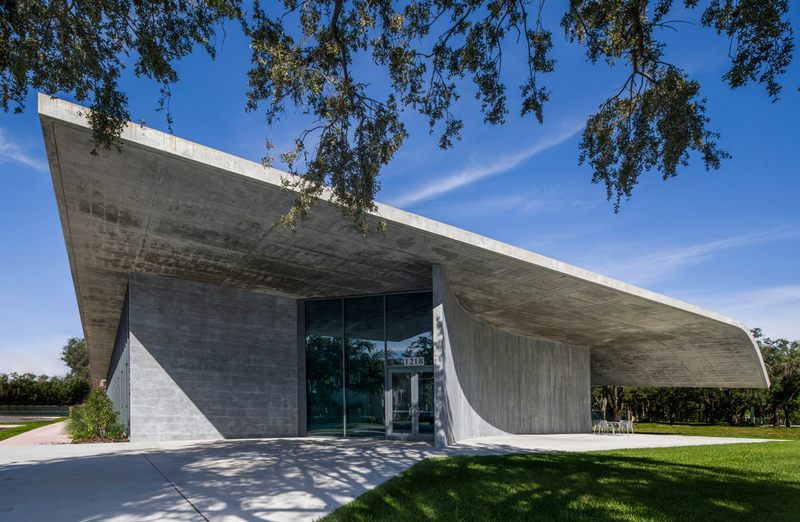 The Baker Museum, part of one of Southwest Florida’s youngest yet most-revered cultural institutions, Artis—Naples, suffered so much water intrusion that it’s been closed temporarily since September 6, 2017. Today, Weiss/Manfredi unveiled a new master plan to revitalize the Naples campus, starting with the repair and expansion of the hard-hit Baker Museum. 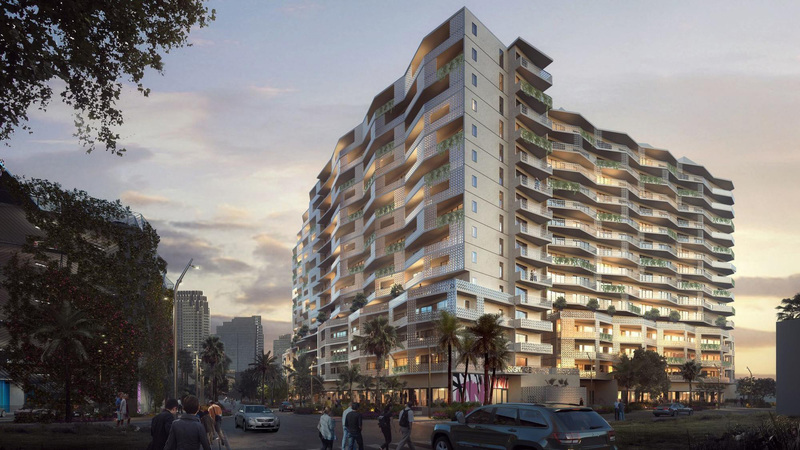 Through a $150 million campaign backed by the Artis—Naples board of directors, the New York–based firm aims to boost resiliency on the site while enhancing the natural beauty of its tropical location. The design will additionally help create a dialogue between the institution’s growing visual and performing arts programs, and bring a cohesive, inviting atmosphere to the 8.5-acre space. “Though Naples is largely considered an elite community,” said Michael Manfredi, co-founder and principal of Weiss/Manfredi, “this project targets not only folks that are sophisticated in the arts, but a whole host of people, especially younger kids, who don’t have the benefit of fantastic educations, and are in adjacent communities that aren’t economically privileged. They’re the ones who are hit hardest by any kind of devastation, whether it’s natural or manmade. There is a strong sense from Artis—Naples of wanting to be part of this larger community.” For the last 18 years, The Baker Museum has housed Artis—Naples’s diverse collection of art in a three-story, 30,000-square-foot facility. An opaque, fortress-like structure, the building featured a glass, dome-shaped conservatory protruding into the west side plaza until the hurricane damaged it beyond repair. To the design team, as well as leadership at Artis—Naples, the museum’s destruction was seen as an opportunity to jump-start plans for a reimagined campus, one that would revamp the formerly dark building by bringing light and life to it, while simultaneously opening up its programs to the public in a new way. “The hurricane forced us to think about what we could do quickly that would bring the museum back online and start to incorporate the institution’s performing arts programs,” said Weiss. “Additionally, the goal of the master plan and the goal of the future Artis—Naples is to communicate that art shouldn’t be experienced behind closed doors, or be shown to the people who can afford to come through those doors. We wanted the transformation to express a more open and welcoming place.” Part of conveying that message includes a 17,000-square-foot expansion of The Baker Museum to the south, complete with three flexible spaces for performing, rehearsing, and receptions. A box within the southern facade will be cut out to reveal event space on the second floor, while a glass wall on the lower level will allow passersby to see activity inside. Atop this end of the elongated structure will be an outdoor sculpture terrace. The stone cladding itself will be made much more resilient and a scalloped metal design will be constructed along the western exterior wall to act as a rain screen. Kathleen van Bergen, CEO and President of Artis—Naples, said Weiss/Manfredi’s original master plan for the site was unanimously chosen back in August 2017, a month before Hurricane Irma came to shore. Though The Baker Museum didn’t need desperate help at the time, the goal was always to bring all of the art programs at Artis—Naples under a singular and strong design. “Artis—Naples is a pillar of this community,” van Bergen said. “It was once largely a fishing village and now it’s a cultural village. We’re quite different from other organizations that are 100 years old or more because we envelop all of our programmings under one overarching leadership, which gives us the opportunity to synthesize the arts in a way that hasn’t been done before.” Artis—Naples will turn 30 years old in 2019. With robust programs in film, dance, music, and visual art, visitors will be given a multidisciplinary experience when they step onto the new campus. The thousands of schoolchildren who visit each year, as well as the near-800 events that are held on site, half of which are free, speak to the institution’s commitment to providing a welcome environment for people of all backgrounds to be inspired by both nature and art, according to van Bergen. Construction on The Baker Museum is set to begin immediately and it's expected to open in November of next year. 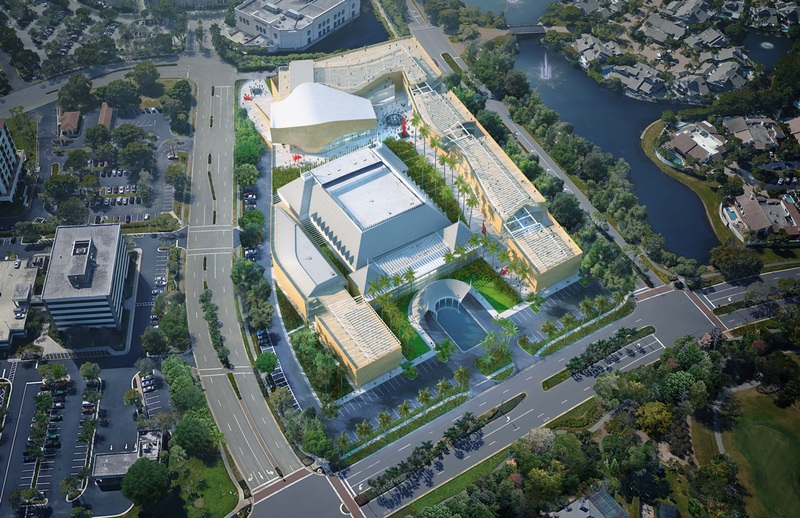 Phase one of the master plan will also include the build-out of a new garden and courtyard between The Baker Museum and Hayes Hall, the institution’s 1,477-seat performing arts venue and home of the Naples Philharmonic. A lush and spacious plaza will link the two buildings and encourage social engagement outside of the main structures. Future phases of construction will include Weiss/Manfredi’s plan for raising the site on its southern end by creating an elevated plinth where additional venues will be built out and connected to the Baker Museum and Hayes Hall. Sasaki has designed a 180-acre masterplan in Central Florida for what it's calling the “Central Park of Lakeland.” Bonnet Springs Park, situated between Tampa and Orlando, is set to become a major cultural magnet and an ecological jewel of landscape design in the state. The massive site, which is being privately funded by a pair of local philanthropists, has sat vacant for over 30 years and gone through numerous attempts to reuse it. Now, the over-100-year-old former rail yard is being officially transformed with a vision from the Boston-based planning and design consultancy. By restoring the site's natural ecosystems and removing any harmful contaminants from its days as an industrial throughway, Sasaki will revitalize the land into a mega-park that’s safe for all ages. Because 84 acres of the abandoned brownfield contain arsenic and petroleum hydrocarbons, the team plans to stockpile the toxic materials into large, undulating hills, completely altering the land's topography. The architects will also remove invasive exotic plants and construct wetlands and bioswales to treat stormwater runoff. Four new buildings will also be constructed for the park, including the “Bridge Building,” which will be set between two man-made hills and house a children’s museum. Overlooking Lake Bonnet, a nature center will feature classrooms, an exhibitions space, a café, and a boat rental facility so visitors can learn more about the parkland and the freshwater lake itself. An events center and welcome center will additionally be built out for weddings, corporate events, and other large-scale gatherings. 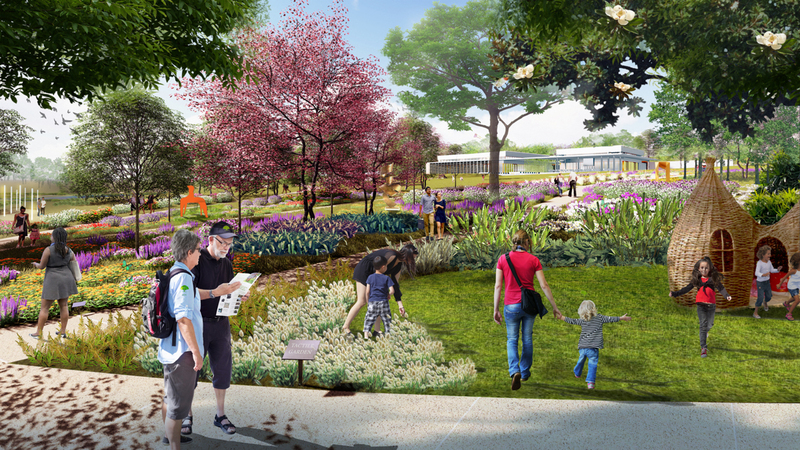 An extensive network of walking and biking trails, as well as a sculpture garden and canopy walk will be incorporated into the park’s design as well. This huge community undertaking, backed by a 20-person advisory committee of local advocates, underscores the town's collective dedication to its fast-growing population by providing a new connection to nature and play. Sasaki and the Bonnet Springs Park Board aim for construction completion in 2020. New images for Tampa’s largest mixed-use project were recently revealed, illustrating the city’s intense investment into its waterfront and downtown core. Water Street is a $3 billion, 50-acre mixed-use waterfront district covering 16 city blocks on Hillsborough Bay. The project is being developed by Strategic Property Partners (SPP), a joint venture from Jeffrey Vinik, owner of the Tampa Bay Lightning hockey team, and Cascade Investment, run by Microsoft founder Bill Gates. The design team includes Cambridge-based Reed Hilderbrand working in conjunction with Boston-based Elkus Manfredi Architects for the project’s landscape architecture and master plan, respectively. Engineering firm Stantec is responsible for infrastructure and roadway improvements. Like other U.S. cities in the post-industrial era, Tampa largely ignored its former industrial waterfront for the majority of the late 20th century, instead focusing on building highways, surface parking lots, and structures that ultimately cut off the water from city residents. Tampa’s lack of a cohesive downtown identity has been an issue that has plagued the city and is one of the main issues that SPP is aiming to resolve with Water Street. It’s an ambitious project. If successful, Water Street will become the world’s first WELL-certified community, which sets new standards for design as a means for well-being and health through elements like daylighting and air quality. A centralized district cooling facility will be built to serve all the buildings in Water Street, opening up rooftops to have more space for greenery and/or active amenity spaces. Water Street also intends to be LEED Neighborhood Development (ND) certified, which was created to shape more sustainable and well-connected neighborhoods. 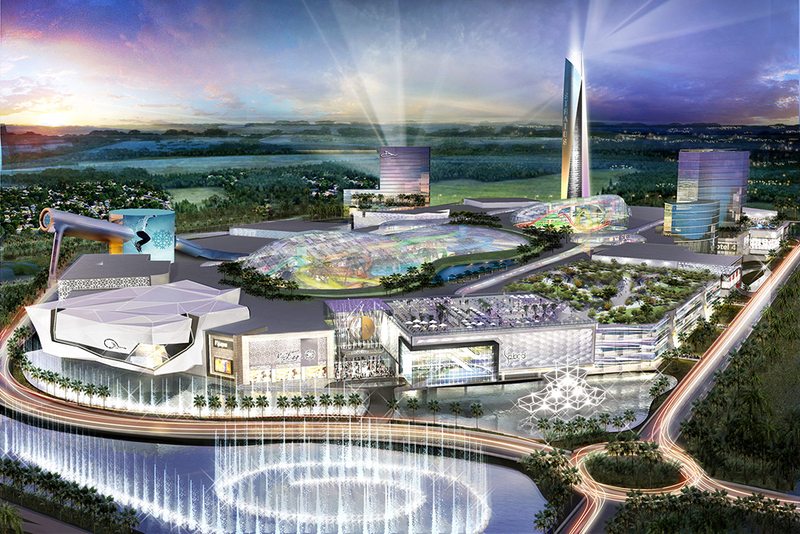 Once completed, there will be two million square feet of office space, 3,500 new residencies, one million square feet of new retail, cultural, educational, and entertainment space, and two new hotels. Two projects are already underway: a JW Marriott hotel and a $164.7 million University of South Florida Morsani College of Medicine and Heart Institute. Tampa is investing heavily into its waterfront edge in an effort to revitalize and reconnect its downtown. 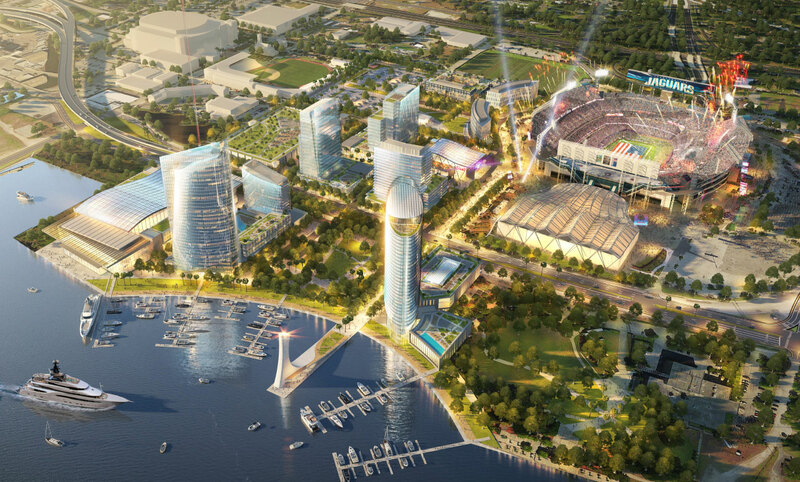 An estimated $13 billion will be spent on development in the Tampa Bay area, according to a Dodge Data & Analytics report, and the most ambitious project is Water Street. The massive investment is an indicator not only of the city’s push to attract companies and young people, but also of the city's desire to unite its neighborhoods, including the existing Central Business District and surrounding neighborhoods of Harbour Island and the Channel District. 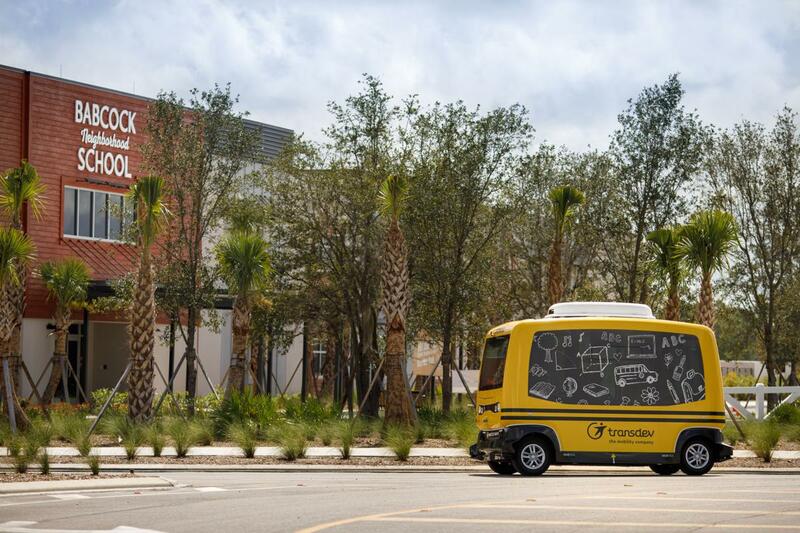 For the past two years, construction teams have been working to create walkable and bikeable streets that eschew the traditional city street grid, redefining Tampa’s downtown into a walkable, pedestrian-friendly area. 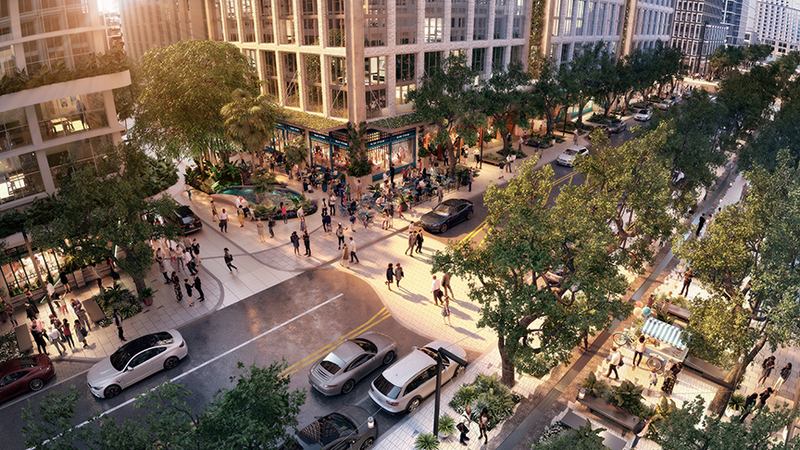 “Our plan for Water Street Tampa builds on decades of insights into what makes city neighborhoods work, working within the context of a modern lifestyle in Tampa,” said James Nozar, CEO of SPP. 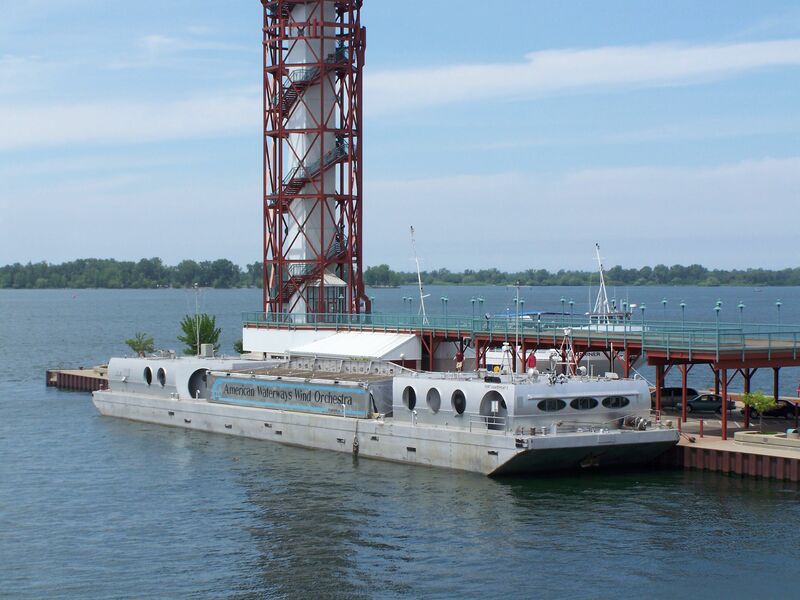 By developing in an underdeveloped area that has no connection to the waterfront, “we’re filling the hole in the middle of the doughnut,” he said to The New York Times. Once completed, the developers estimate that more than 23,000 people will live, work, dine, and visit Water Street. The first phase is meant to open in 2021, but the expected completion date is still a ways off in 2027.